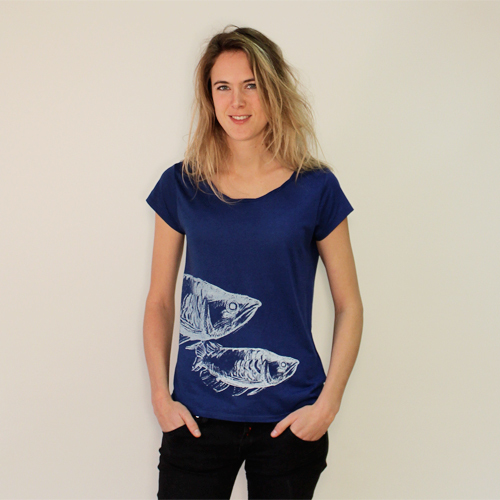 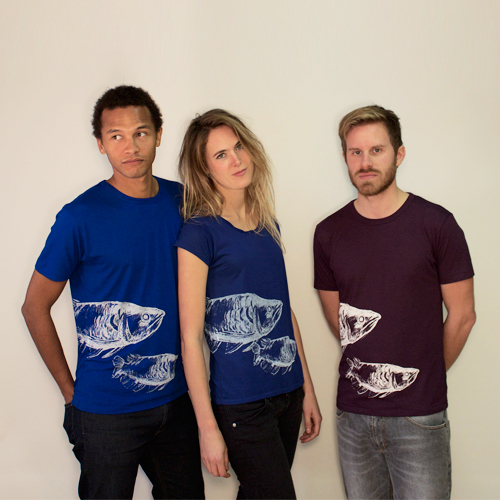 Big Fish screenprinted on a silky Royal Blue t-shirt with a twisted neckline in a rather straight flattering model. 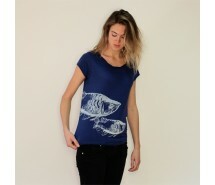 This shirt is made of 50% tencel (eucalyptus fibres) and organic cotton. 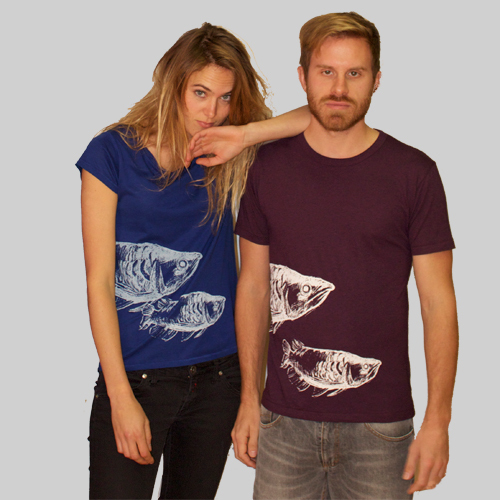 The design is silk screen printed with water based ink.